From 21 November 2017, the Rubens House has a surprising treat in store for you, namely the “Portrait of a Lady and her Daughter”, a stunning, restored masterpiece by the famous Venetian artist Tiziano Vecellio (1485/90-1576). Titian was already a famous artist in his time. His pictorial style, outstanding use of colour and virtuoso technique provided an inexhaustible source of inspiration for several generations of artists, including Rubens and van Dyck. The two Antwerp masters both admired Titian, studying the master’s work at length, as well as copying and collecting it. In 1948, this canvas was x-rayed, revealing the existence of a second painting under the mysterious representation of Tobias and the Angel. The restoration finally commenced in 1983. After twenty years, the portrait, which had been concealed for centuries, finally emerged. 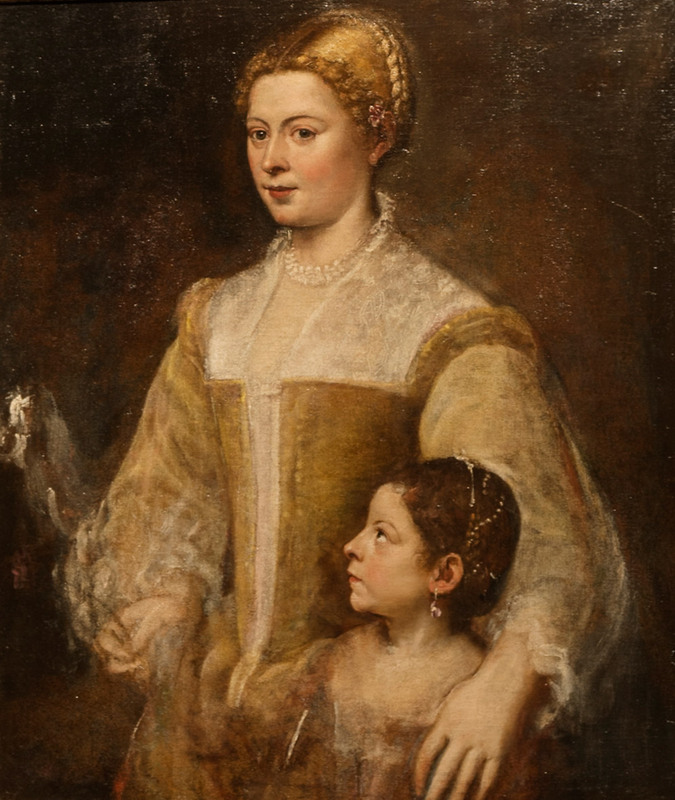 The unfinished Portrait of a Lady and her Daughter is one of Titian’s masterpieces. His tender representation of the relationship between the mother and daughter, which is apparent from the gaze which the girl directs at her mother, is simply unmatched. To date, the identity of the young mother and her daughter remains shrouded in mystery. 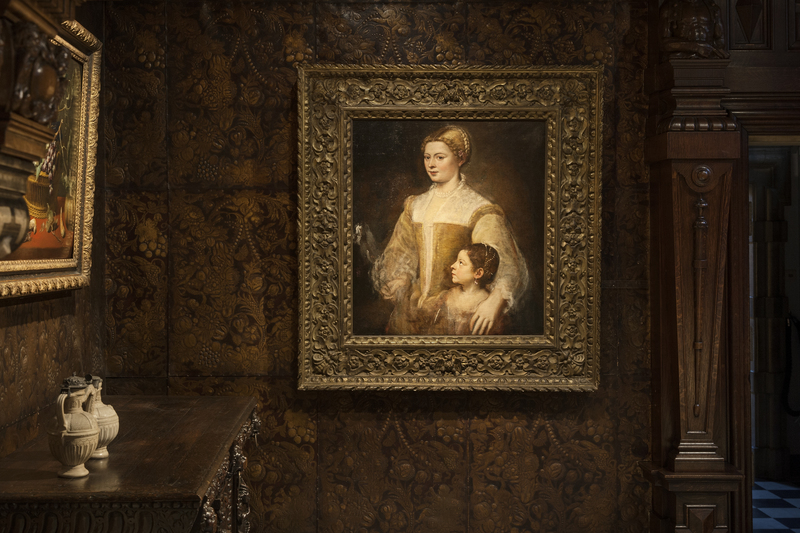 There has often been speculation that Titian portrayed his mistress and her illegitimate daughter in this painting. This tantalising biographical detail may also explain why the work was painted over shortly after the master’s death. The scene was possible transformed into a religious painting, of Tobias and the angel, at the initiative of Titian’s oldest son Pomponio. Perhaps the intervention was inspired by commercial reasons, as a religious scene is more likely to sell than the portrait of two unknowns. 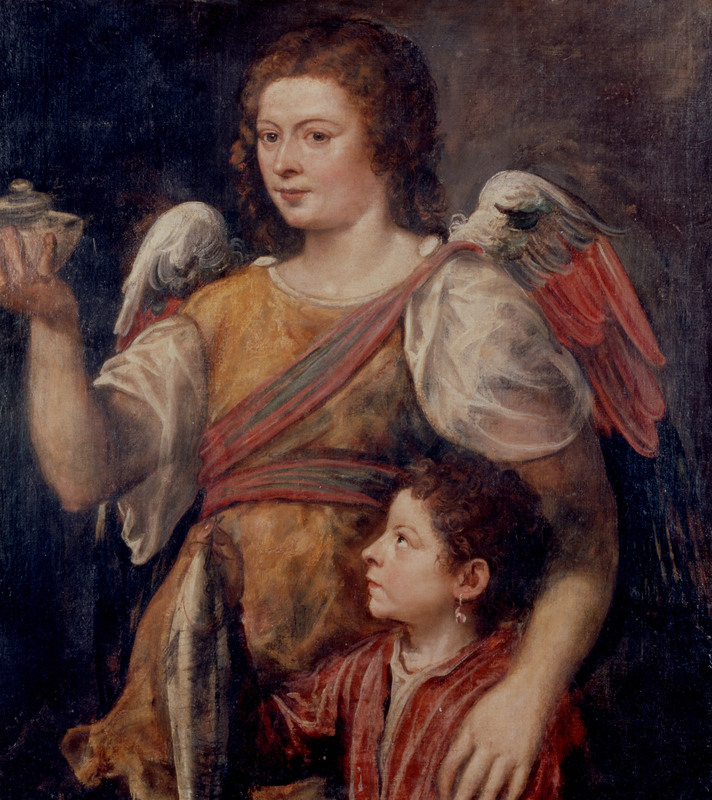 Pomponio sold the painting to a prominent Venetian family, the Barbarigos, who kept it in their palazzo for over 250 years, where Rubens and van Dyck would have seen this canvas. Around 1850, the Barbarigo collection passed into the hands of Tsar Nicholas I, who sold it a few years later. Around 1920, the Parisian art dealer René Gimpel acquired it. Shortly before World War II, he hid his collection in a garage in London. Gimpel joined the Resistance, was arrested and died in a German concentration camp. The canvas survived the war and was found again by Gimpel’s sons after an arduous search. 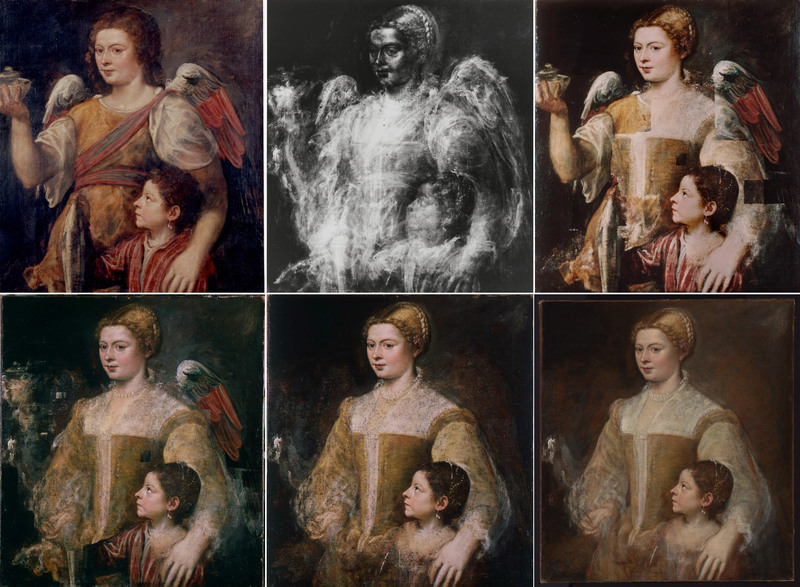 Most European museums can no longer afford to acquire artworks by such masters as Titian. 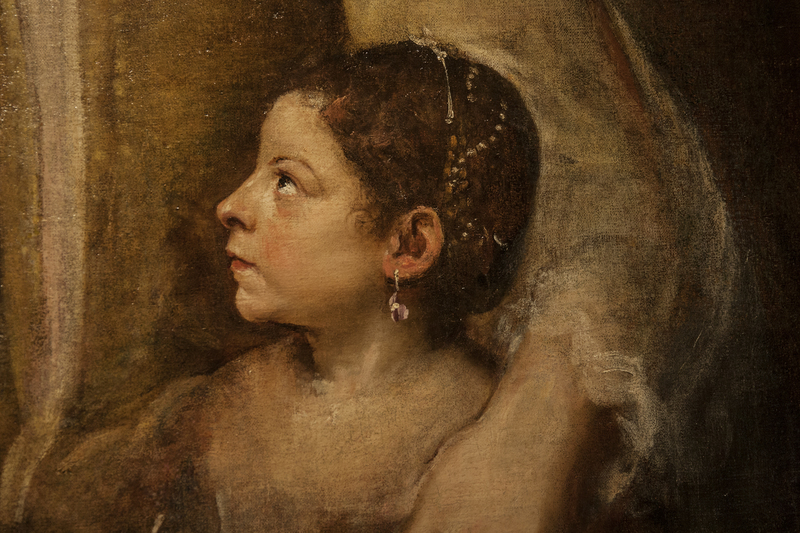 That is why the Rubens House has opted in favour of long-term loans from private collections. The owners of this Titian were inspired to loan this masterpiece to the museum by the Rubens House’s policy and the international appeal of ‘David Bowie’s Tintoretto’. The city-wide cultural festival ‘Antwerp Baroque 2018. Rubens inspires’ pays tribute to Peter Paul Rubens and his baroque cultural legacy. Peter Paul Rubens’s work is considered a pinnacle of baroque painting and still inspires many contemporary artists. The festival establishes a unique dialogue between the historic baroque and contemporary art. The Rubens House in Antwerp is one of the most famous artist’s residences in the world. On the occasion of ‘Antwerp Baroque 2018. Rubens inspires’, the museum’s collection will be supplemented with several unique masterpieces. The Rubens House previously welcomed loans of works by Tintoretto and van Dyck. Now it is adding a work by another Italian master who inspired Rubens. Moreover, the museum will exhibit several masterpieces by Rubens himself in 2018, which will return to the location for which they were originally painted for the first time since their departure. And last but not least, Rubens’s self-portrait, which revealed several new secrets during its restoration, will also return to the Rubens House.